It’s 2019, and the lone wolf of the “popularly priced” midsize sport-utility pack is . . . still alone. That would be the Toyota 4Runner that stands out from the clan of unit-body crossover utes by virtue of its body-on-frame construction. 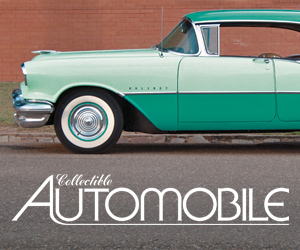 This truck-like assembly once marked the breed, but growing consumer demand for improved ride, easier passenger access, and better fuel mileage was answered by SUVs with a lot of passenger-car influence. 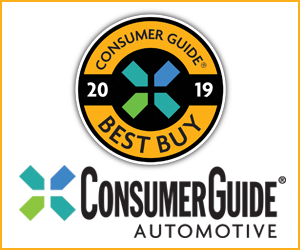 Toyota hasn’t ignored that part of the market—see the Highlander, a Consumer Guide Best Buy, for proof of that. However, within the realm of customers who still want the increased off-road capability afforded by more ground clearance and a sturdy solid rear axle, the 4Runner has the market cornered. 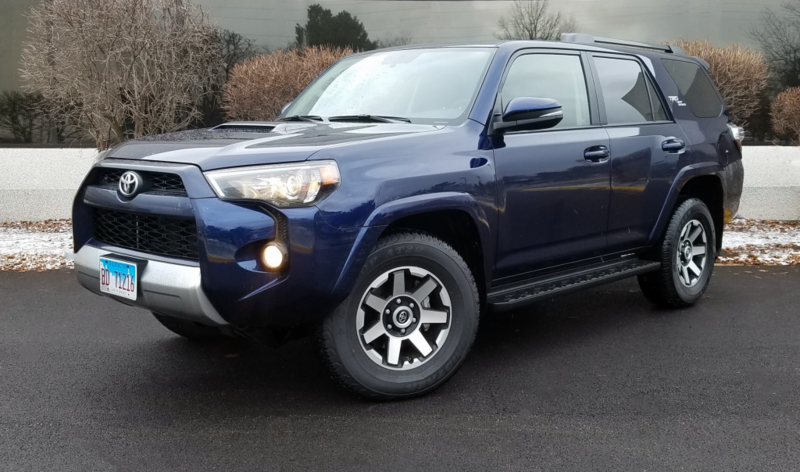 The TRD Off-Road Premium sits in the middle of the 4Runner model lineup; it comes standard with features such as heated outside mirrors with integrated turn signals, rear spoiler, tow-hitch receiver, and LED taillights. Without competitors breathing down its neck, the 4Runner has become rather long-lived in its current form, and change has been incremental. 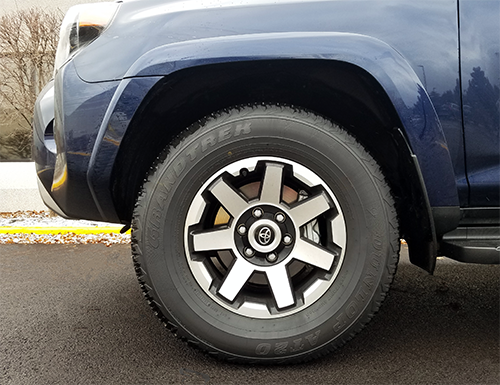 For 2019 the model count grows by one with a black-décor Nightshade Edition of the “luxury” Limited, and the top-line TRD Pro adds some standard equipment. Indeed, the ’19 4Runner TRD Off-Road Premium that CG tested was fundamentally like the one that editors sampled two years earlier. There’s nothing cutting-edge about the 4Runner’s cabin, but the materials are sturdy and assembly quality is excellent. Off-road-focused powertrain controls are nestled in a headliner panel just above the windshield. Base price for the 2019 job is $41,040 with delivery, which puts it $1910 higher than the non-Premium TRD Off-Road. The differences still come down to an uprated Entune audio system with integrated navigation system, Entune app suite, and other features; SofTex leatherette upholstery; heated front seats with “TRD” identification stitched in red on the headrests; HomeLink universal transceiver; and an automatically dimming rearview mirror. The optional sliding rear cargo deck makes it a bit easier to load and unload cargo. There’s a respectable 46.3 cubic feet of cargo space behind the second-row seats, and 88.8 cu. ft. with the second row folded. Power is delivered by a 4.0-liter V6—still at 270 horsepower—and 5-speed automatic transmission. Most 4Runners have part-time 4-wheel-drive that needs to be switched to rear-wheel drive when on dry pavement. In the TRDs, this is done via an old-school lever in the center console. Active traction control, a locking rear differential, terrain settings, crawl control, and hill-start assist are other standards, and the test truck was further equipped with the optional Kinetic Dynamic Suspension System that adjusts to improve wheel articulation. 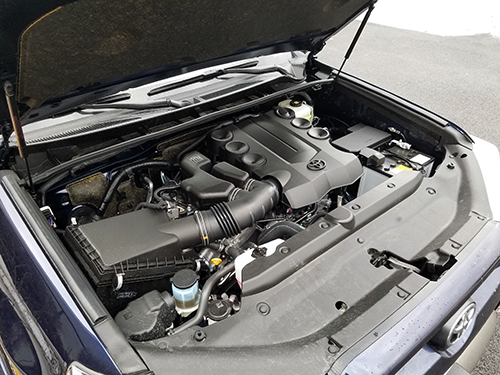 The 4Runner’s thirsty 4.0 V6 and 5-speed automatic transmission are as “old-school” as the rest of the vehicle, but they deliver satisfying acceleration. With 278 lb-ft of torque, the 4Runner gets going with some urgency, and cruises comfortably on the expressway. Transmission kickdown for passing power happens quickly, though concerted acceleration comes with some engine noise, and speedy expressway driving induces a bit of wind whistle. Ride is stiffer and handling heavier than with the more prolific crossovers. Road bumps make themselves felt. Also, there’s some tippiness in cornering—perhaps no surprise in a vehicle that is two inches taller than the crossover Highlander, has 1.6 inches more ground clearance, weighs more, and lacks independent rear suspension. That said, with the transfer case clicked into 4-wheel high range, the test vehicle was unfazed by city streets that had yet to be plowed after an overnight snowfall of around five inches. After putting more than 1000 miles on the tester, including a highway-heavy Chicago-Detroit run, CGers coaxed a collective 17.14 mpg from it. Unfortunately, that barely topped the 17-mpg EPA estimate for city driving. Respective highway and combined projections are 20 and 18 mpg. As always, standard skid plates protect the undersides of key mechanical components. Seventeen-inch alloy wheels and 265/70R17 mud-and-snow tires are included too. Soft-touch surfaces cover the top of the dash and much of the door panels, and the tilt/telescoping steering wheel is wrapped in leather. Convenient large dials govern most climate-system settings. Audio, navigation, and app displays register on a 6.1-inch color touchscreen, but separate dials make audio tuning easy. For storage of personal items there are an accommodating glove box and covered console box, storage pouches on the backs of the front seats, door pockets with bottle holders, and open cup holders in the console and pull-down rear-center armrest. What you won’t find are any of the electronic “eyes and ears” (such as rear cross-traffic alert or blind-spot detection) that have become so prevalent. Seventeen-inch alloy wheels are standard equipment. When passengers settle into the supportive seats they’ll experience good legroom in front, with a little less space in back. There’s just enough room across the rear seat to squeeze three adults in if necessary. Headroom is good in either row, particularly without the optional sunroof. Step-in is higher than in crossover sport-utes, so extra-cost running boards may be a wise investment. While 3-row seating is available in some 4Runners, TRD models like the test vehicle are confined to two rows of seats. There’s good room for cargo behind the second row, and an optional sliding cargo floor can be pulled out over the bumper for easier loading—and access to some small-item space that is hidden when the floor is pushed back in. For more cargo capacity, cushions for the 60/40-split rear seats pivot forward and the seat backs fold completely flat. 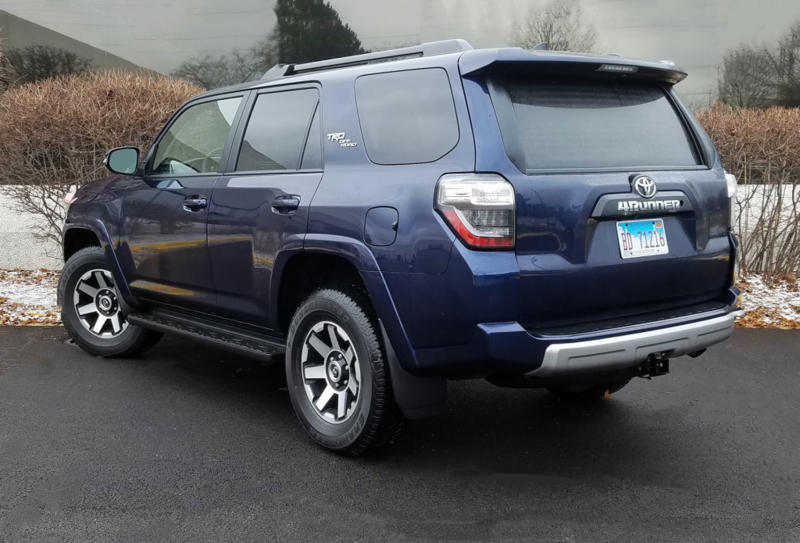 The Toyota 4Runner certainly isn’t the most modern midsize SUV around, but it is capable to a degree some of the “new kids” might not be, and it offers a decent choice of price points and equipment levels. If off-road prowess is more important to you than on-road comfort, fuel economy, and car-like ergonomics in your midsize SUV, then the Toyota 4Runner is one of the only games in town. It’s not as sophisticated or efficient as the majority of its class rivals, but its rugged looks and excellent build quality still appeal. Written by: The Daily Drive staff on April 5, 2019.